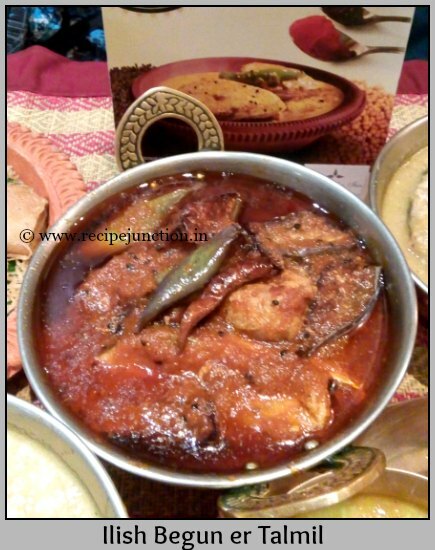 Monsoon and Hilsa(known as "Ilish" in bengali) fish are synonymous to Bengalis. This is the only time (2 months of monsoon) when we can devour this fish. Bengalis become crazy over Ilish these two months. It gets cooked in every household almost daily but nowadays because of the scarcity of the fish it becomes awfully expensive and most of the people can't afford to devour it frequently. However, how much this fish gets expensive, the fascination for this fish will never die for Bengalis. 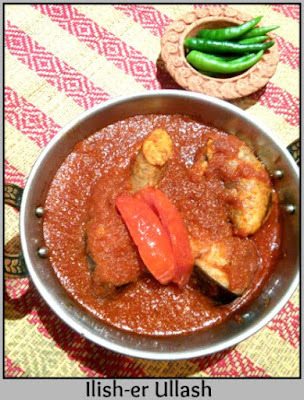 These days, City's famous restaurants are also having some special weeks dedicated to the delicacy of this fish, Ilish. 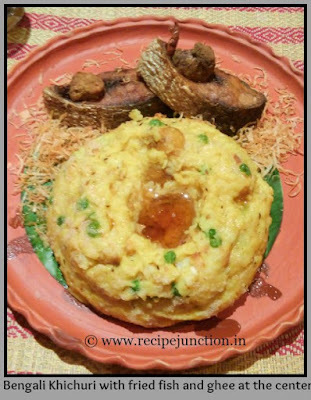 There are very few restaurants in Kolkata who specializes in Traditional Bengali Cuisine. 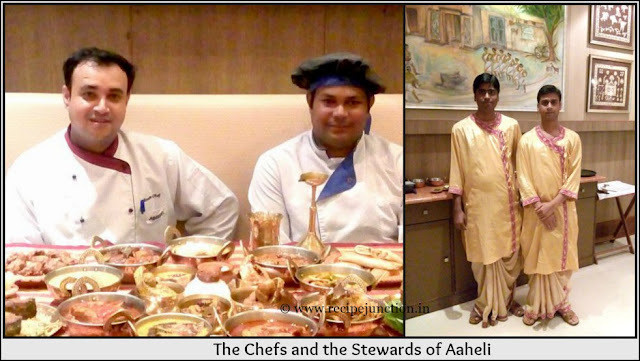 Aaheli, the restaurant in the 5 star hotel chain The Peerless Inn is one such restaurant who are catering traditional Bengali cuisine to the people of Kolkata for years now. 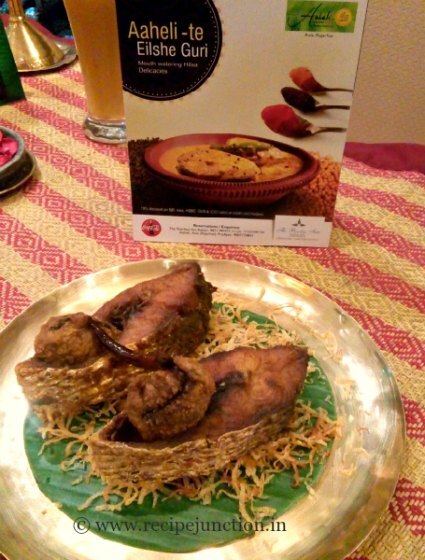 So, this year throughout this August month they have organised a festival dedicated to the delicacy of Hilsa Fish, "Ilish-e Guri". Our group, Kolkata Food Bloggers were invited to preview their delicacies and me along with another blogger friend, Devpurna represented our group and reached Aaheli, in their new branch, in the 4th floor of Axis mall, Rajarhat, Kolkata on a rainy afternoon. The decor of this place is very soothing and has a touch of Bengal in its every corner. The table setting, the brass plates and glasses, brass diyas and the stewards dressed in traditional punjabi-dhuti, all these will take you to the older days of Kolkata. 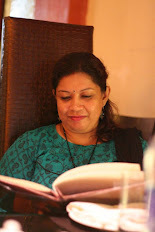 I thoroughly enjoyed the ambiance and the people there were very polite and friendly just like we bengalis behave with our guests. 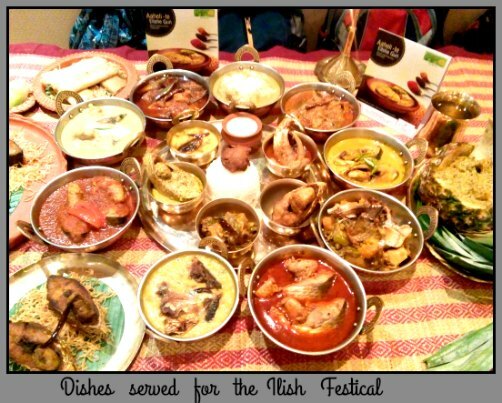 The table where they displayed all their delicacies was looked like this and I was awestuck seeing so many varieties of traditional Ilish dishes in one table. 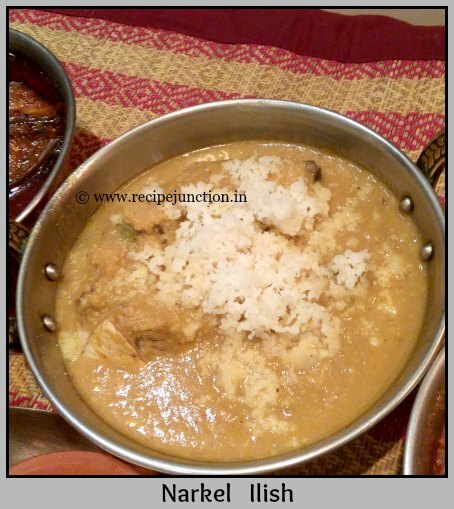 Some of the dishes were quite common in every Bengali household in this Hilsa season and some were very traditional which has almost became obsolete nowadays - all were on the table. 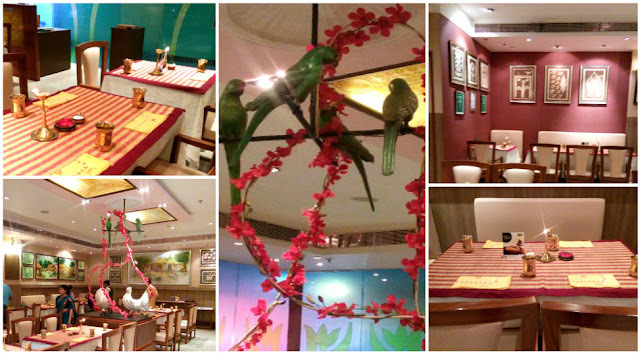 Each dish has been curated with utmost care and a loving touch by the Chef personally. The festival will go on till 31st of August for lunch and dinner. They have One Thali and 13 side dishes for this festival. There is no buffet, only a-la-carte. Each dish contains 2 fish pieces. 1. 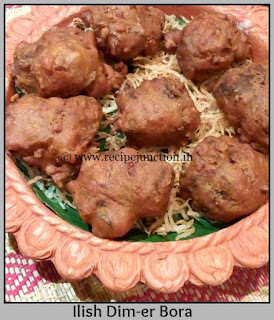 Ilish Dim-er Bora ( Roe of hilsa fish deep fried with onion) : For bengalis, each part of hilsa fish is a delicacy and hilsa fish roe is one of them, a must try for a non-bengali or a first-time hilsa fish eater. 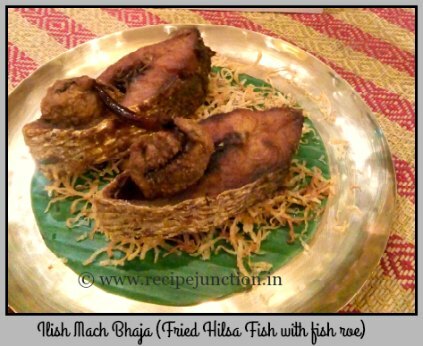 If you're one of them who are trying Hilsa fish for first time, you must try Fried hilsa fish as one can get the real taste of this fish from the fried fish. And the oil the fish is fried is another thing you should not avoid. This is not a traditional dish. 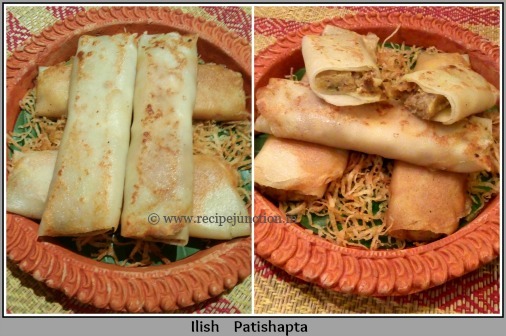 Its a very innovative and delicious way of using Hilsa fish, I must say. It tasted really yummy and a must try. 4. Pui Saag-e Ilish Matha (Fish head added to malabar spinach) : A very simple dish of Pui Saag or Malabar Spinach and few other vegetables mixed to make a mish-mash and hilsa fish head is added to take this simple dish to a new level. A must try. 5. 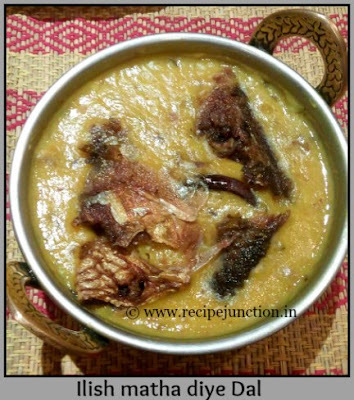 Ilish matha diye dal (Yellow lentil cooked with fish head) : Again a delicacy and a traditional dish, fried fish head is added into a simple lentil dish to enhance the taste. A must try. 6. Kancha Ilisher Jhal (Poached Hilsa fish cooked with black cumin seasoning) : A regular in bengali household, non-fried but poached fish cooked with almost no spices and just a single seasoning. 7. Ilish-er Ullash (Hilsa fish cooked in onion gravy) : Hilsa fish cooked in onion-tomato gravy, not so traditional but nicely balanced curry to enjoy with hot rice. 8. 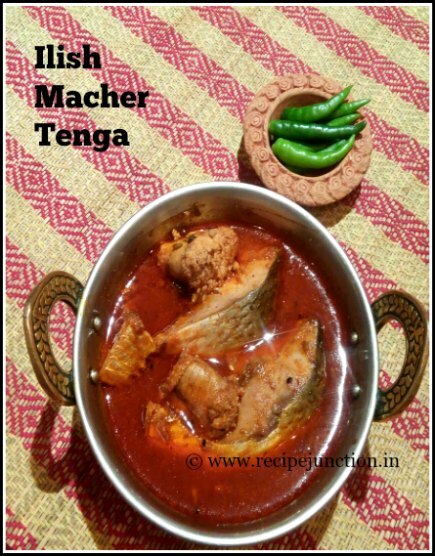 Ilish Macher Tenga (Hilsa fish cooked in tamarind gravy) : A very traditional dish which is simply lip-smacking to taste. 9. 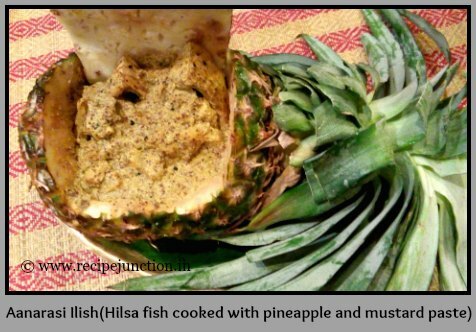 Aanarasi Ilish (Hilsa fish cooked with pineapple) : A delicately cooked dish with a touch of pineapple, a must try. 10. Ilish Begun-er Talmil (Hilsa cooked with brinjal and black cumin) : A common in every bengali household in Hilsa season which is very simple to cook but taste like heaven. Hilsa fish cooked in a simple curry adding brinjal pieces and black cumin seasoning with very very little spice added. Again a must try. 11. 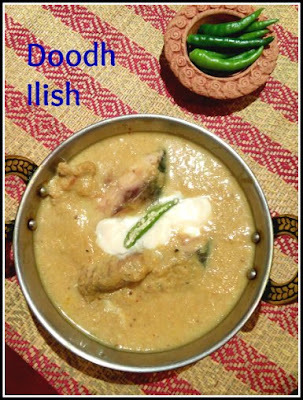 Doodhe Ilish (Hilsa fish cooked in milk and yogurt gravy) : Another traditional but not-so-common Hilsa delicacy cooked with milk and yogurt in a creamy consistency. 12. 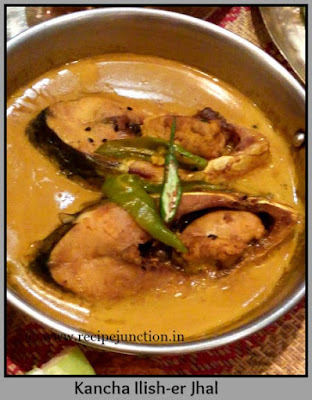 Narkeli Ilish (Hilsa cooked in coconut gravy) : Coconut and Hilsa fish always go well together, an awesome combo and a must try delicacy of Hilsa. 13. 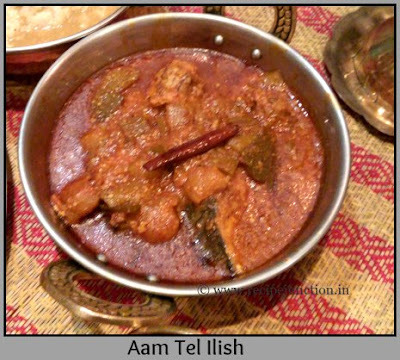 Aam Tel Ilish (Hilsa fish cooked with the pickle oil) : A traditional delicacy of Ilish but now almost an obsolete delicacy of Bengal which Aaheli has revived through their creations, a must try dish of this festival. 14. Ilish Khichurir Talmil (Fried Hilsa served with Bengali Khichuri) : Khichuri is a rice and lentil mishmash and enjoyed by every Bengali with a generous servings of ghee(clarified butter) and fried hilsa fish by the side. Aaheli has this too in their menu. 15. 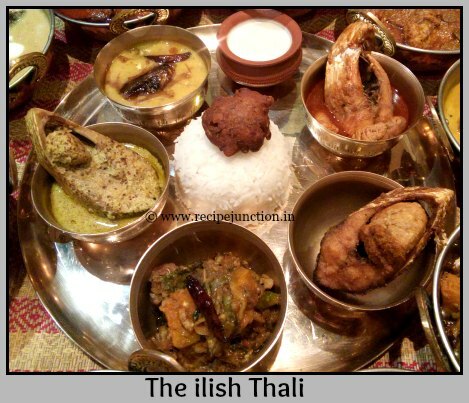 Ilish Thalir Sanjog (A complete thali with different hilsa preperation) : The thali contains a dal, a sabji, a fried fish, a fish vada and a fish curry preperation. The spread is quite impressive, right? So what are you waiting for? Visit Aaheli at Rajarhat, Axis Mall on 4 floor with your family or friends and enjoy a lavish Bengali spread which you'll never ever forget in your life, I guarantee. P.N. 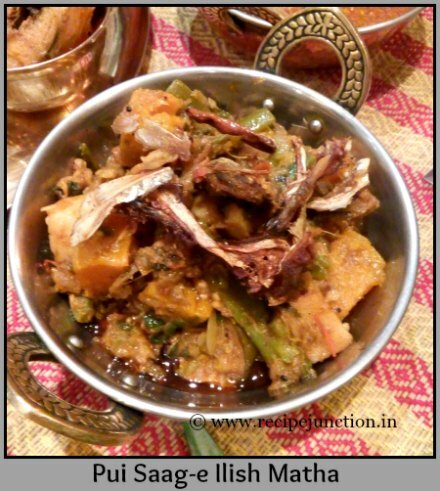 : you can also order other dishes from their regular menu along with this Hilsa Festival menu.